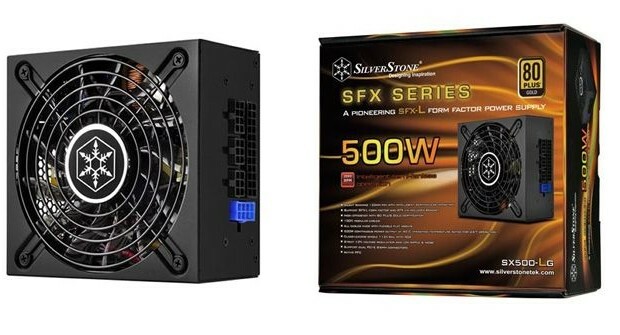 Silverstone is one of the most recognized manufacturers of power supplies (among other things) the world, especially for being the most efficient in the process introduce sources of great power in small producer. This time, comes the news that the German automaker is preparing a new power supply 500 watts of power and unusual form factor SFX-L, a variant of SFX format but instead of having 10 centimeters fan length and 80 mm in diameter, having a length of 13 centimeters, permitting the use of a larger fan, up to 120 mm. Silverstone SX500-LG is the name that the manufacturer will give this new addition to its catalog that should land in stores later this month. With 500 watts of power, a single + 12V rail connectors enough to serve as a high-midrange (includes two PCI-Express connectors 6 + 2 pin), this source is postulated as an ideal choice for computers Gamer mounted potent small boxes. 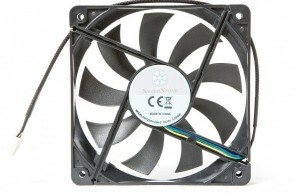 No missing high-end features in this new Silverstone power supply, such as 100% modular design, flat cables to facilitate channeling in boxes with little space or efficiency 80Plus Gold certification, which ensures a good energy savings and lower heat generation over less efficient sources. 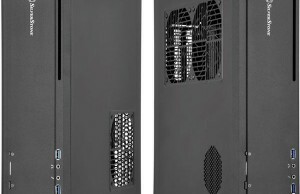 As explained earlier, this new PSU has SFX-L format, just like the SFX format but with three inches in length, allowing the installation of a 120 mm fan diameter, exactly what it SX-500 -LG integrated. Silverstone has not yet revealed the exact launch date, only that it will arrive later this month. Neither the price is known.